The rumors came true. 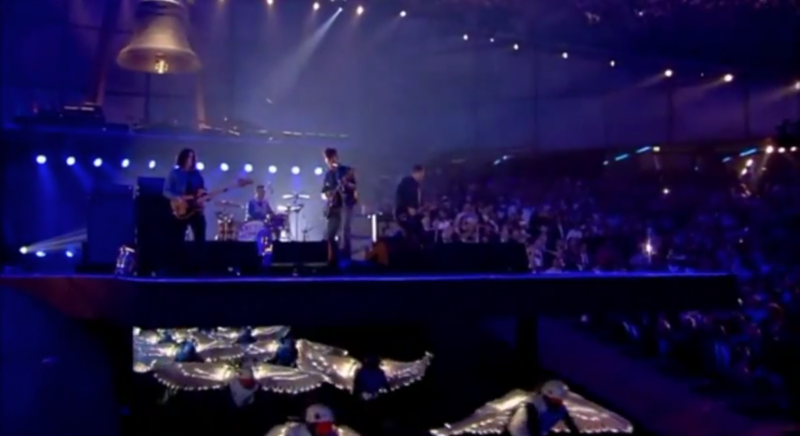 Arctic Monkeys had the honor of playing during the Olympics opening ceremony. They started things off with their trademark “I Bet You Look Good On The Dancefloor” and then dove into a brave cover of The Beatles landmark “Come Together”. Watch both performances below and hit the jump to grab mp3 downloads of both performances. A studio version of the cover has been released on iTunes in the UK. I’m sure I’ll have a stream of that by the end of the night. Stupid NBC did not show I Bet You Look Good! I heard the first notes, they cut away then came back for the cover. Now the YouTube is already down. I’m so pissed!